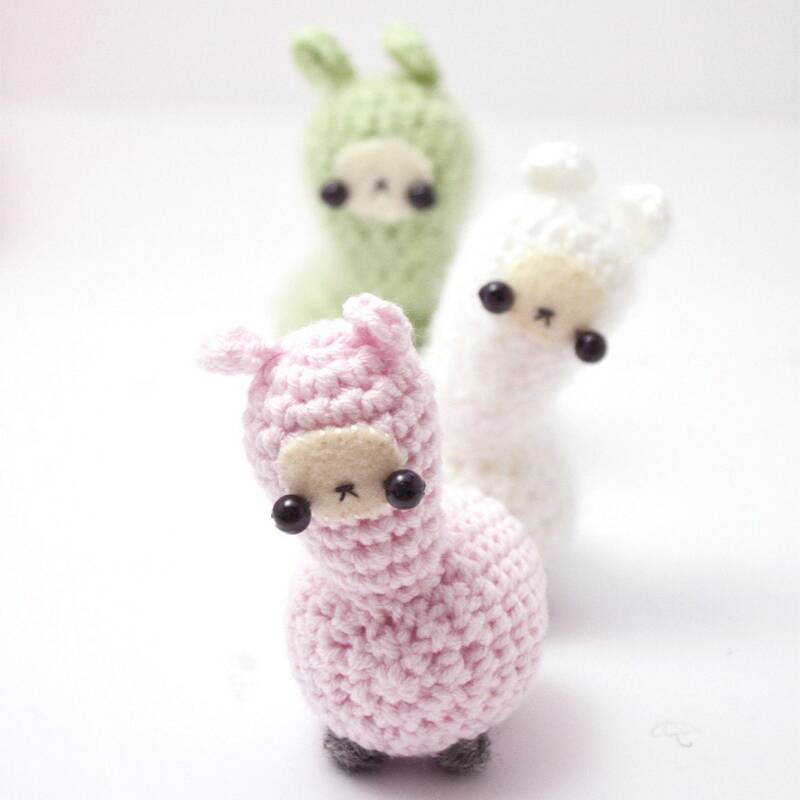 Create an army of amigurumi llama plushies. 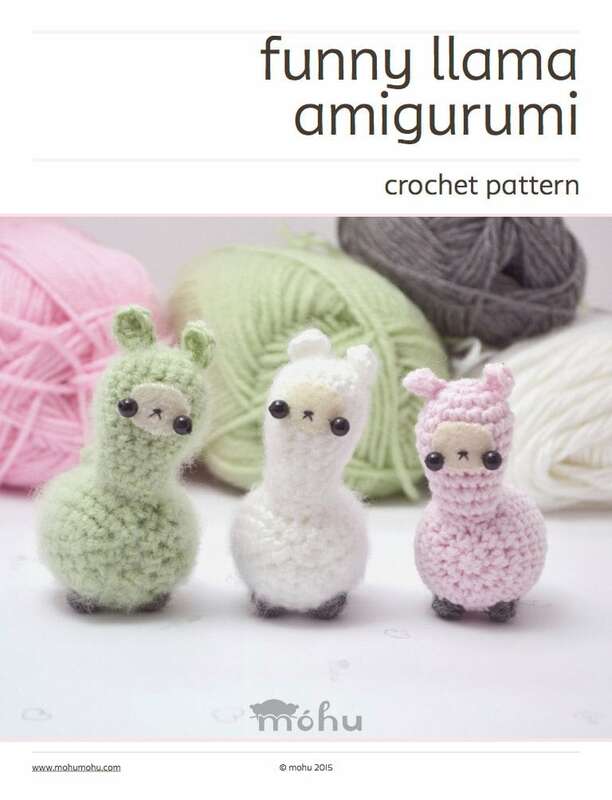 This digital pdf file contains a written crochet pattern to make your amigurumi llama. It includes lots of photos, detailed assembly instructions, and a printable template for the felt face. You will need to know how to crochet in the round, and work single crochet and double crochet stitches. These techniques are taught in the beginner's crochet guide, included in your purchase. US crochet terms are used. 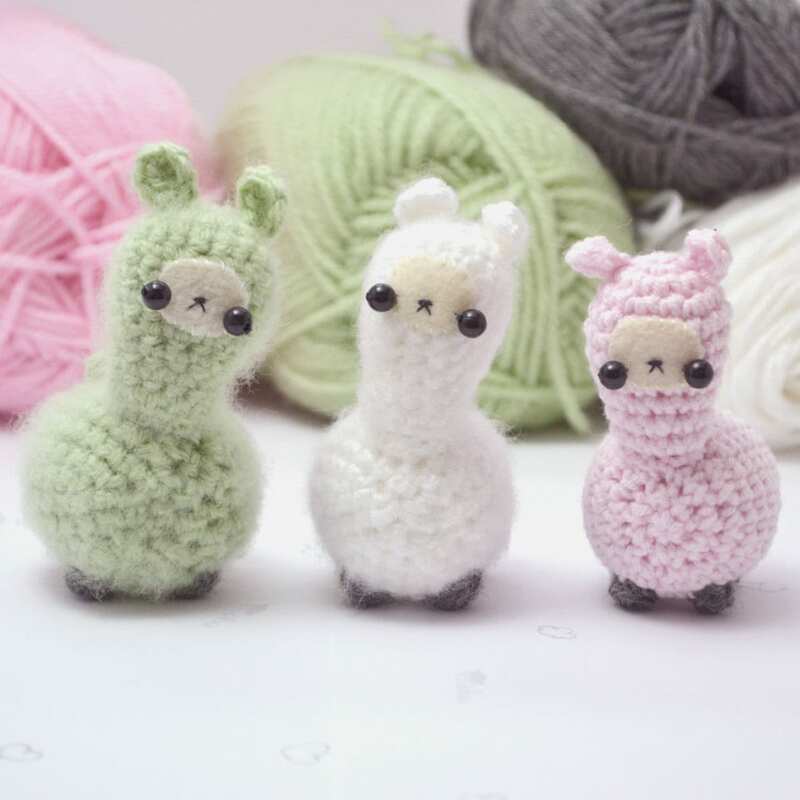 The examples were made using medium weight yarn and a 3.5 mm (E) crochet hook. They are about 8 cm / 3.2" tall. However, exact gauge isn't too important. 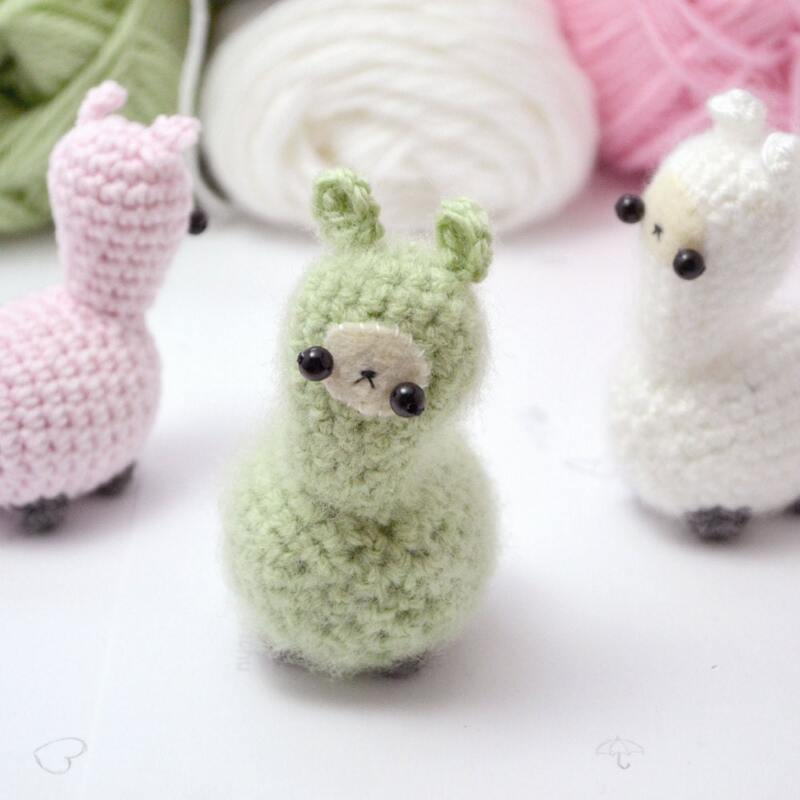 If your llama turns out to be a different size, simply cut the felt face bigger or smaller to fit. You'll need a small amount of yarn in the colour of your choice for the body, and a little bit of grey for the feet. The pattern also uses off-white felt, stuffing, black and white thread, and 6mm beads for the eyes. A 3.5 mm (E) crochet hook and needles for sewing are required. Móhu's patterns are intended for personal use. You may use them to make items for yourself, as gifts, or for charity. Please don't distribute the files that you have purchased, whether in digital or physical form. When you buy a digital pattern, you're not buying the rights to the design. I love all the mohu patterns so was extremely happy adding this to the collection! So adorable and so easy to follow! Easy to follow pattern, really great, thanks! Adorable!! These will be so fun to make! Thank you again!